Our Websites Are Clean, Modern And Built From The Ground Up For Each Client. Responsive Design. A modern website is just as likely to be accessed from a mobile device as it is from a laptop or PC. 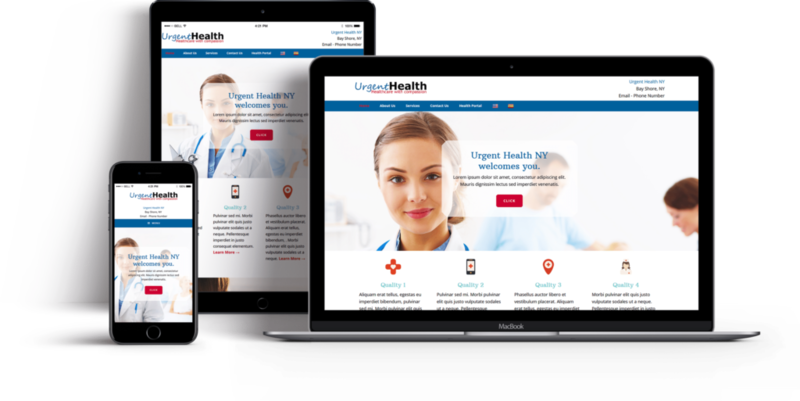 A website needs to be designed to display and function correctly on ANY device, regardless of size and capabilities. User Experience. A site needs to anticipate what its visitors want and allow them to get to it in as few steps as possible. Otherwise users will go elsewhere. Ease of use and navigation can be achieved in a number of ways: simple navigation, attractive design, clear and efficient writing. Every website we build is optimized for ease of use. Scalability. Many websites start small and grow larger; equally, many sites start simple and end up much more complex. A modern website built on the right platform will be easy to upgrade and expand as your needs change. Manageability. Websites that are regularly updated with new content are indexed more favorably by search engines, and attract visitors to return to your site and share content from it on social media. Whether a site is managed by a professional or by its owner, doing so needs to be as simple as possible. All of our sites are built from the ground up. Some are built on a CMS, some are not, depending on your unique needs. All are designed to be fully responsive. All come fully optimized. All are designed for ease of use, and all are guaranteed to be clean, attractive, professional and built to succeed. Take a look at a portfolio of our completed sites, or contact us. Ready to take the next step? Follow the link below.